Hi! 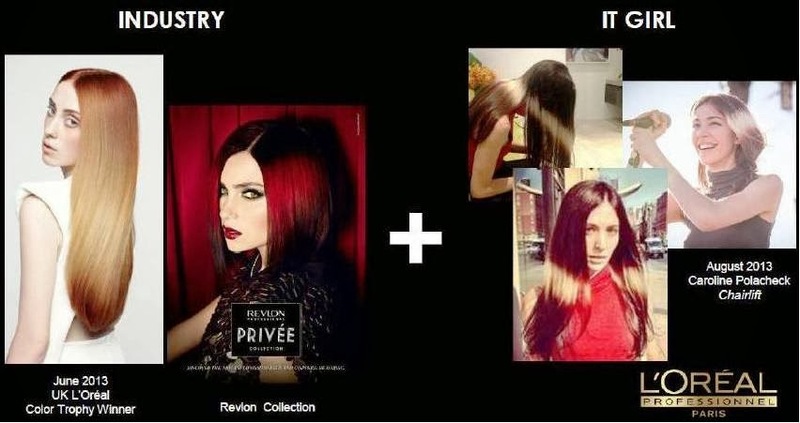 I would like to share with you some of the new and upcoming Spring Summer 2014 IT Look Hair Color Trend. 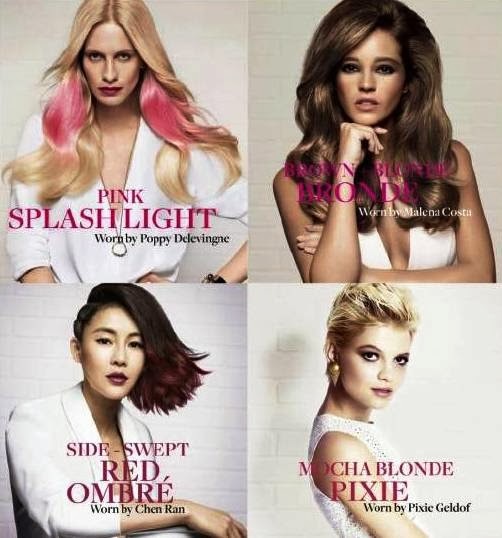 First and foremost we see Pink Splashlight, then Mocha Blonde and Red Ombre. 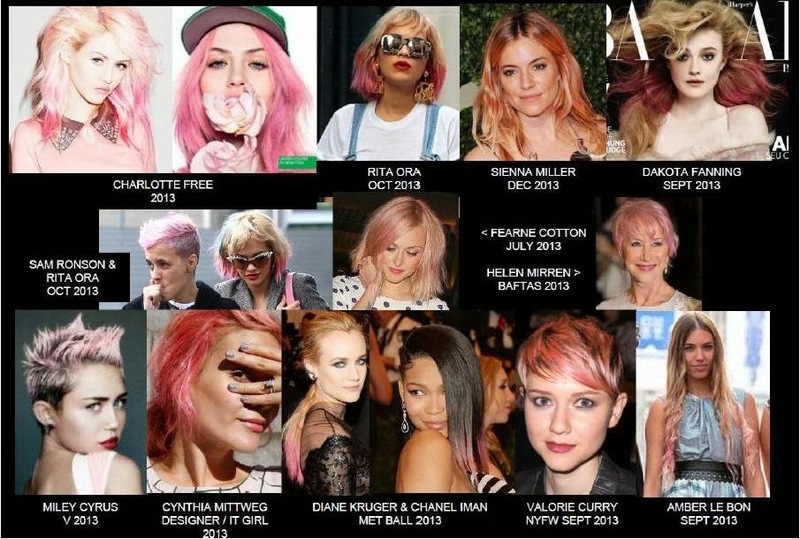 We will see Pink Hair on the Runways. Pink Splashlight is a contrasting horizontal band of lighter or brighter hair which stretches from ear to ear, across the mid-lenghts, creating a ray of light effect. 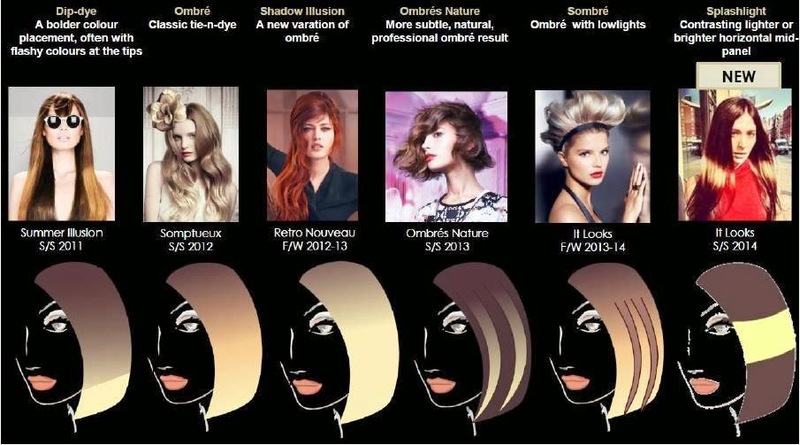 Here is your complete ombre hair guide. 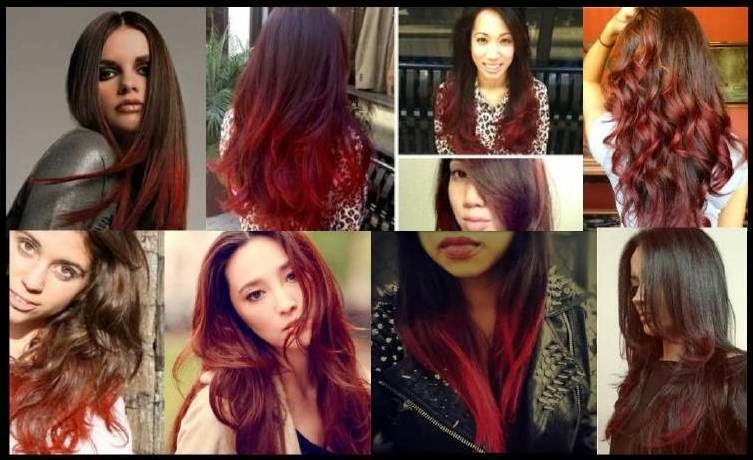 Splashlight New Ombre is a key emerging trend for the fashion-forward IT crowd, the Splashlight represents a bold departure from traditional notions of ombre. 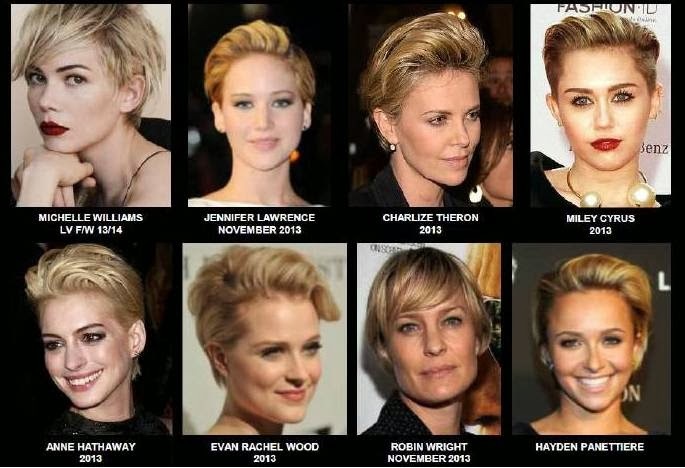 Mocha Blonde prefects the pixie. 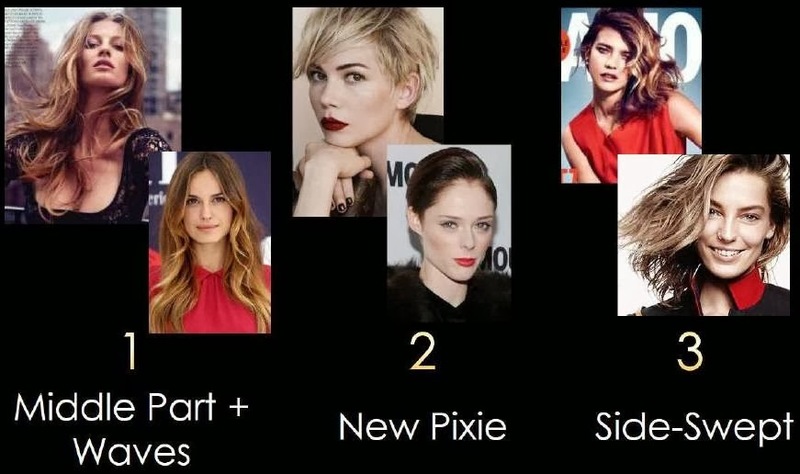 The new Pixie is fast becoming the cut of the season, favoured by numerous celebrities in 2013 to mark a significant evolution in their style. 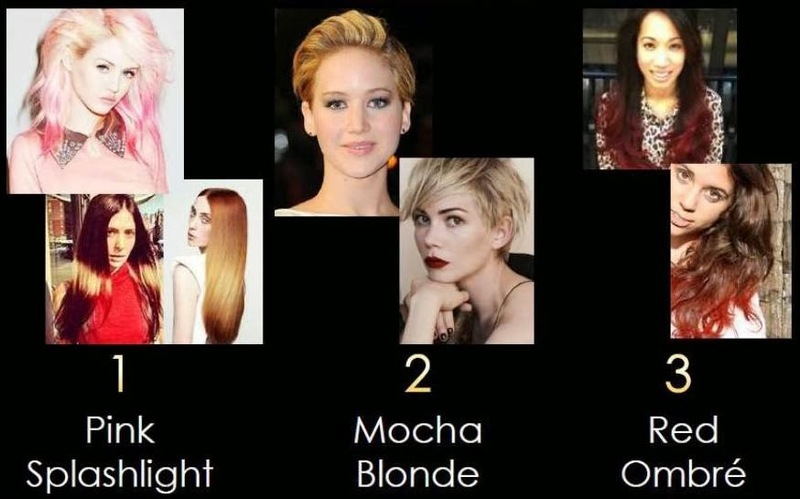 Blonde shades go hand-in-hand woth the Pixie cut and to make the look pop, wear a contrasting Mocha Tone at the root for added depth. Poppy Delevingne, British IT Girl, 27 years old British model with fashionista from all backgrounds. A regular on the front row at London Fashion Week, she has been the face of Zadig & Volatire parfums for 2 years front campaign for jeweler Thomas Sabo & also Chanel ambassador. She is the muse & friend of Williamson and recently succeeded Alexa Chung as the face of Danish brand Vero Moda. Chen Ran, Chinese actress & IT Girl, 28 years old graduated from a prestigious film school in Beijing, Chen Ran toured with Chen Kaige the biggest names in Chinese cinema. She is constantly followed by style hunters to emulate her look of the day. She is regular on the cover of Harper’s Bazaar and Vogue in China. Pixie Geldof, British IT Girl 23 years old popular British Model, fashionista and socialite is the daughter of musician and activist Bob Geldof and the late British TV personality Paula Yates. Pixie is the lead singer of a band Violet and regular on London social scene often spotted with friends include Daisy Lowe and Alexa Chung. She is the face of Levi’s, Diesel, Henry Holland, Agent Provocateur and Loewe. 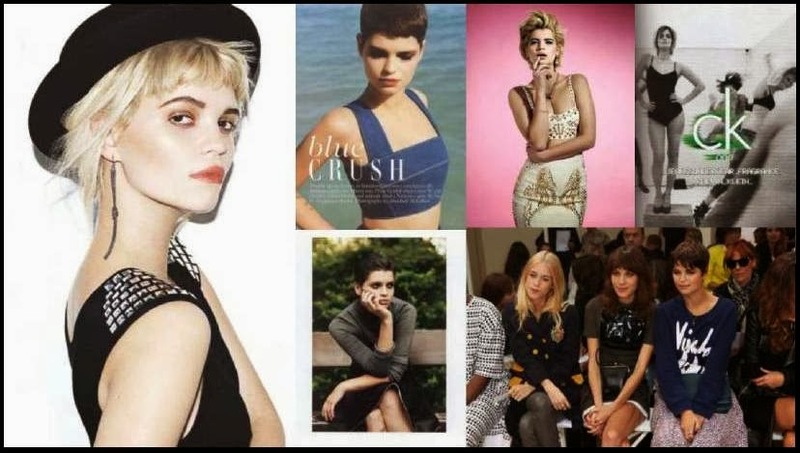 Pixie Geldof modeled for Vivienne Westwood, PPQ, Luella and Jeremy Scott.